As the Sochi Games come to a close; U.S. cities are lining up for the opportunity to bid for the 2026 Olympic Winter Games. Bozeman is in the company of at least five other municipalities who are in the introductory stages of bidding for the Games. 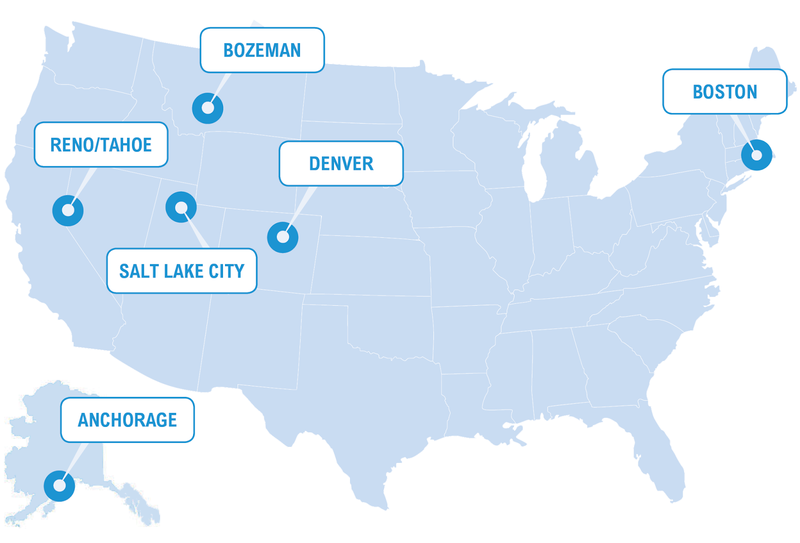 The following U.S. cities have declared their interest in hosting the games: Anchorage, Boston, Bozeman, Denver, Reno/Tahoe and Salt Lake City. Anchorage is accustomed to bidding for the Winter Olympics with unsuccessful attempts in 1992 and 1994. Anchorage's location is particularly interesting for television ratings. Morning events can be shown live in primetime for European countries, and evening events would be aired live, in primetime, for the Americas. Boston is a sports-loving city with plenty of venues to house multiple Olympic events. The infrastructure would need some updating, but accommodations for visitors is already in place. Boston has never bid for the Olympics. Bozeman is the least populated city of those in the early discussions for the 2026 Olympics. Bozeman is nationally recognized for its outdoor recreation and way of life. Surrounded by a beautiful natural environment; Bozeman is a championship skiers paradise with over 200 runs on three mountains. However, Bozeman would need to construct new venues, hotels and update the existing infrastructure. Denver was originally selected to host the Olympics in 1976, but its residents voted to rejected the Games. The Denver area is one of the most established skiing destinations in the U.S.
Reno/Lake Tahoe hosted the Olympics in 1960, and has become a major contender in the 2026 bidding, due to its mult-million dollar renovations and upgrades of venues and hotels. Salt Lake City hosted the Olympics in 2002, and is considered to be one of the most successful Olympics in terms of profit and television ratings. Salt Lake City has established venues and infrastructure, which could be reused from the 2002 Olympic Games.